Process Lasso’s Performance Mode induces the ‘Bitsum Highest Performance’ power plan that keeps your CPU ready to execute code at all times. This reduces latency encountered while bringing the CPU out of a low-power state. Bursting CPU loads, the most common real-world type, are often greatly impacted by this. With our ParkControl utility, we revealed hidden CPU settings that control core parking, and wrote about how CPU core parking and frequency scaling can affect performance of real-world CPU loads. Put simply, these power saving technologies come with a performance trade-off. When a CPU is down-clocked or cores parked, it is not ready to execute code, and thus some degree of ramp-up time is required when threads become active once again. This especially impacts performance of bursting CPU loads. Both ParkControl and Process Lasso offer a power profile, Bitsum Highest Performance, that is pre-configured for maximal performance. In this power plan, your CPU always remains ready to execute new code. Core parking is disabled and the CPU is never running below its base frequency. Since you may not want to be in this power plan continuously, the use of this power plan is automated. It can be induced a few ways, but the most common is Process Lasso’s Performance Mode. 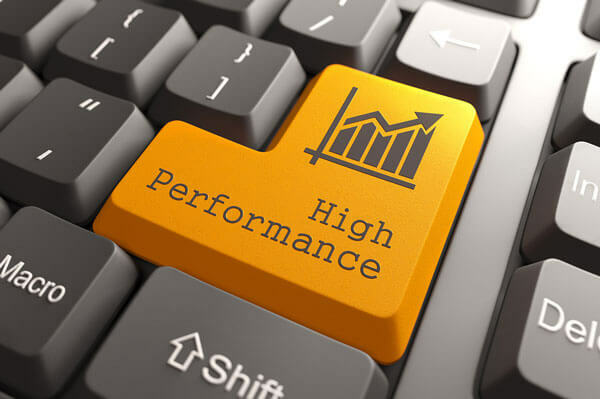 By selecting which processes should ‘Induce Performance Mode’, you can ensure maximum performance only while these applications are running. Process Lasso also allows for specific power profiles to be associated with an application in case you want to use different power plans. Finally, the IdleSaver feature of Process Lasso will switch to a more conservative power plan when you go idle. Similarly, ParkControl has a function called Dynamic Boost that is essentially the opposite of IdleSaver – it raises to a more aggressive power plan when the system is active.